Did you know that a famous sumo wrestler graduated from Seiritsu kindergarten? His sumo name is Jokoryu. 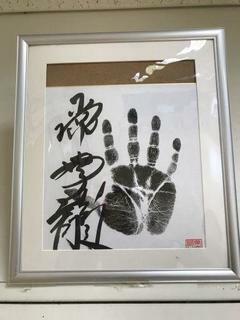 In 1994 he graduated from Seiritsu's own kindergarten. He did sumo and high school as well as univeristy, and then became a professional sumo wrestler and rose all the way to the rank of komusubi. He sometimes comes back to visit Seiritsu kindergarten. 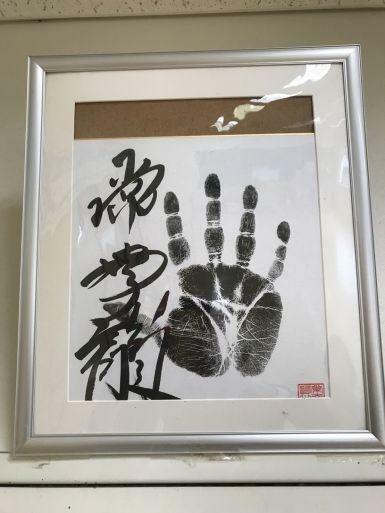 I am a big fan of sumo, and I recently discovered about Jokoryu when I saw his tegata (hand print) framed on a wall in the kindergarten.